Whether you need to mail a package, make a copy, send a fax or even rent a laptop, our professional and courteous staff is ready to help. For your convenience, the MGM Grand has 2 FedEx office locations: one is in our main lobby and the second one is on the main floor of the South Concourse. There are two on-site FedEx Office® business services locations, one in the main hotel lobby and one in the Conference Center. The staffed hours of assistance for both locations are 7:00am - 7:00pm daily, along with 24 hour access to the computers, copiers and printers. For more information about the FedEx Office® Print & Ship Centers at MGM Grand, click here. Internet access is available 24 hours a day, 7 days a week for a nominal fee. If you need presentations, flyers, signs or other marketing materials for your meeting or event, submit your orders online, and the materials will be waiting for you at the MGM Grand when you arrive. Files may be uploaded directly to the on-site FedEx Office here. We offer a wide array of office equipment for rental including computers, fax machines, laptops, printers, professional grade copiers, radios, and shredders. Should you have questions, please contact a FedEx Office specialist at (702) 388-1132. All incoming packages shipped to guests are processed and maintained at the corresponding FedEx Office location. To avoid delays, it’s important to schedule shipping so that packages arrive 3-4 days before the recipient needs the package. Once a package is processed, a message will be left in the guest’s room. We accept all incoming carriers, and handling fees will apply. For outbound same business day shipping, all shipments must be received by 3:00 pm on Monday through Friday and by 11:00 am on Saturdays. Any FedEx parcel or freight received after that will be shipped the next business day. For outbound packages, we accept FedEx, UPS, and DHL, and handling fees will apply, in addition to carrier transportation charges. For pickup or delivery of packages, additional fees apply. Please see the Package Shipping Instructions sheet for additional information here. *A labor fee of $70.00 per hour will apply for breaking down pallets, building pallets, or excessive package handling/moving due to a customer’s request. The labor fee can be charged in 15 minute increments. FedEx Office will store packages for a limited time before returning them to the sender who will be responsible for all related shipping costs. 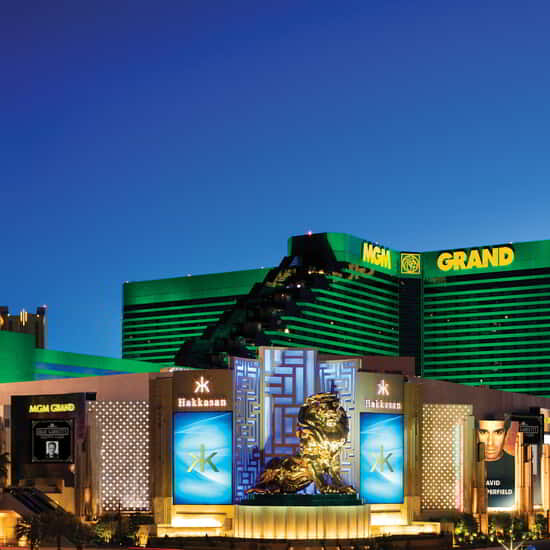 Additional storage fees will apply for packages not picked up within 5 days of delivery to MGM Grand. From the front desk, walk into the casino. After passing the Lobby Bar, turn right and walk towards the KA Box Office. Just past Wolfgang Puck, turn right and walk into The District. Continue through The District, past Craftsteak, PUB 1842 and Grand Garden Arena. When you reach the Spa Mezzazine, take the escalators down towards the pool. At the entrance to the pool, turn right and continue through the hall. Once you enter the Conference Center, turn left just past the escalators. The FedEx Desk will be located on your left. From the Las Vegas Blvd entrance, continue through the casino past Hakkasan, TAP and Jabbawockeez Theater. Continue past Avenue Café towards CRUSH. Turn right when you reach L’atelier and continue towards The District. Walk through The District past Craftsteak, PUB 1842 and Grand Garden Arena. When you reach the Spa Mezzazine, take the escalators down towards the pool. At the entrance to the pool, turn right and continue through the hall. Once you enter the Conference Center, turn left just past the escalators. The FedEx Desk will be located on your left. From the Las Vegas Blvd entrance, continue through the casino past Hakkasan, TAP and Jabbawockeez Theater. Turn right when you reach Avenue Café, and continue towards the lobby. Once in the Lobby the FedEx office will be located across from the Bell Desk.